X2 Stands of personalised bespoke designed cupcakes. View our cupcake gallery. 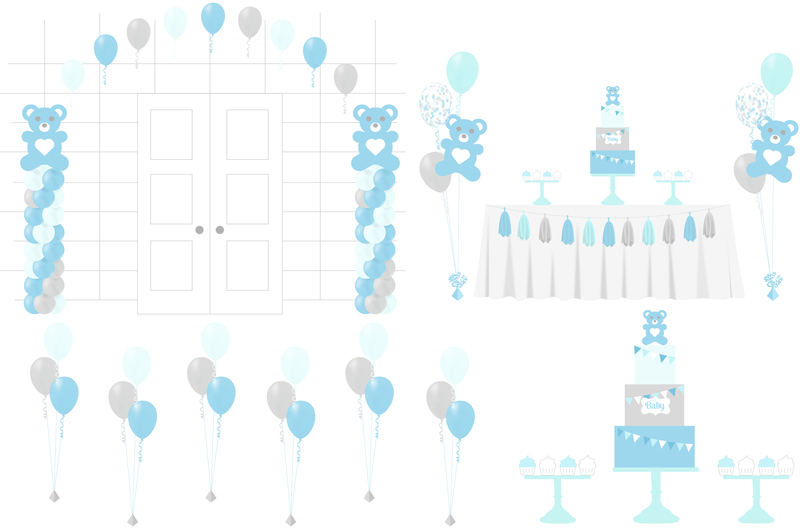 X2 Large baby shower/christening balloons bouquets wih confetti, latex and teddy bear. X2 Teddy bear balloons pillars with connecting balloon arch for backdrop/dance floor or enterance way. X6 Table top christening/ baby shower balloons bouquets. To hire our blue table runners and chair covers please contact us for more information. X2 Large balloon bouquets wih confetti, latex and teddy bear balloons. X2 Teddy bear balloon pillars with connecting balloon arch for backdrop/dance floor or enterance way. X6 Table top balloon bouquets. 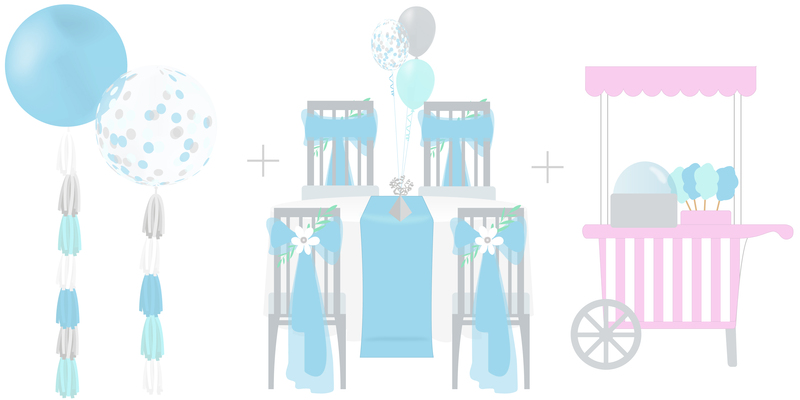 For additional christening/ baby shower balloons see our balloon chart for more information. To personalise your event further spell out any message, name or age with our XL 3ft foil letter/number balloons for just £8.50 per balloon. See our balloon chart for more information. For additional treats and gifts for your guests see our range of personalised favours for more information. with our XL 3ft foil letter/number balloons for just £8.50 per balloon. See our balloon chart for more information.